I read this article and found it very interesting, thought it might be something for you. The article is called 15 Hostels to Stay in Madrid and is located at http://trip-n-travel.com/listicle/17849/. Madrid, the capital of Spain is one of the most beautiful cities in Europe. With it’s great historical monuments, landscapes, night life, architecture and culture, Madrid definitely should be on every travelers ,,must visit,, list. 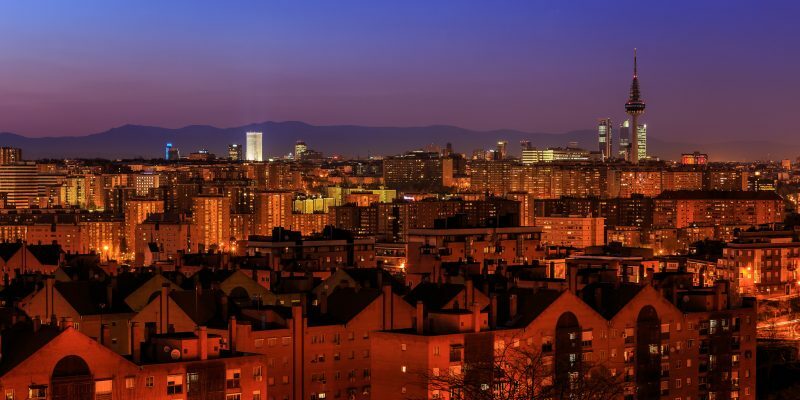 To be able to see all that beauty, you need a good sleep so, we’re doing a list of the best 15 hostels in Madrid, sorted from the most cheap to more expensive ones. Situated in the South Madrid, this hostel has 90 rooms, outside view from every room, daily cleaning, rooms on the ground floor for disabled costumers, parking and cafeteria, free wi-fi and many more. Downsides are that you share bathrooms with other guests and breakfast is not included, but don’t forget that it is one of the cheapest hostels available. Next on our list is the Era, a hostel located in the center of Madrid, yet surrounded by beautiful gardens, within walking distance from most of the museums or cultural places. The hostel has a communal kitchen with microwave and refrigerator, air conditions, luggage storage, comfortable lounge with free internet and the breakfast (served from 8 a.m. to 10 a.m.). You want a hostel right in Madrid downtown? Here you go, Room007 is the thing you look for. An urban hostel, in the middle of the triangle of Gran Vía, Malasaña and Chueca, oo7 has 32 rooms divided into doubles or dormitory rooms of 4 up to 11 beds. They provide free Wi-Fi internet access, Attic Lounge area, kitchen, TV set, free computers and vending machines. The hostel also provide guests with breakfast service, bar-restaurant for lunch or dining, open-air terrace at the top floor and a restaurant. Price: 43$ for private rooms; 20 $ for 4 dorm rooms; 16$ for 6 dorm rooms. Little, cute, vintage hostel in a 15th century building, with a shared kitchen, laundry room and a bar and free wi-fi among other things. Every room has it’s own bathroom, or shared with another room (shower included). Their vintage atmosphere really brings the spirit of Madrid closer to you and when that is not enough, you can even book a discounted tour with some of their tourist guides. Price: 61 $ for double bed private rooms; 20 $ for 4 bed dorm; 18 $ for 6 bed dorm; 16 $ for 8 bed dorm. This hostel runs highly-recommended tours, with good internet and a large, colourful common area and kitchen. It’s down the street from Tirso de Molina metro station and a supermarket, near La Latina, Plaza Mayor and Puerta del Sol. They have a wide selection of rooms, some with ensuites and air conditioning (plus each bed has its own locker), fully equipped kitchen, they organize daily free walking tours and pub crawls, have a private flamenco show, tapas tour, and drinking games night with free sangria. Price: around 17$ for dorms; 57 $ for private rooms. All 2, 3, 4, 5 and 6 bedrooms in Madrid Motion feature private bathrooms, big windows with views to the city centre, air conditioning, top quality beds and individual lockers. And yes, breakfast is included. Placed in the city center, equipped with free wi-fi, computers, lounge area, laundry room, bar, free city tours, workshops and a lot more. A perfect places for someone who wants to experience Madrid in it’s full beauties. Price: 20 $ for 6 bed dorm; 18$ for 8 bed dorm. Like many others, this hostel is also in a 19th century corrala-style building, with 2 to 6 beds in a room, included breakfast every morning, personal lockers, free wi-fi and computers. They also have a bar and rooftop terrace, and offer tapa and shopping tours, Flamengo and Salsa dance classes and many more. It’s a hostel that quests describe as a beautiful and lovely hostel, with great parties in the weekend and an excellent bar. They organize parties, tours and even free Flamenco and Salsa dance classes. They include free breakfast in the price, free wi-fi and computers you can use. Their rooms range with 4 to 14 beds and secure lockers with every bed. Described as a very comfortable accommodation, this hostel offers spacious and sunny rooms, internet access, wi-fi, free tour around the city and more. They also have mixed, male or female dorms, just to make guests more comfortable. Downsides are that you don’t have breakfast included and you can’t use the kitchen after 9 pm. Award winning hostel, a mix of residents and tourists that offers mixed and female dorms, air conditions, lockers, lounge area and kitchen. They have a friendly stuff with a lot of experience and knowledge, ready to help you with everything you need or give you advices or directions. This hostel is part of a chain of hostels, situated on Madrid’s most best tapas bar street (Calle de la Victoria). It offers 24 hour reception, bilingual hostel staff, breakfast and wi-fi included in the price, fully equipped kitchen, 4 and 6 beds dorms- all with their own bathroom, twin and doubles rooms all with shower and something they are really known for – their amazing terrace. The Hostal Hispano-Argentino is located in the Gran Via, within walking distance from La Cibeles and Puerta del Sol. It’s a luxury hostel, with rooms that have their own bathroom, minibar, satellite TV, telephone, safe, air condition; they also offer services as laundry, car rental, bar, fax, Internet, excursions, etc. In one sentence – everything you need for a great vacation. Far Home Plaza Mayor B&B, is a budget hostel with a retro design but modern and cozy at the same time offering customers the chance to interact. They offer computers with internet, wifi , LCD TV, reading zone, variety of activities for guests, bathrooms (some private, some in a lobby). Some of their services are: elevator, luggage storage , 24 hour reception and other services some (with an additional cost). Once again in the list, we have a luxury hostel, part of a THC properties. The hostel offers a total of 19 rooms, all of the rooms have private bathrooms with exterior balconies, along with television, air conditioning and free wi-fi, daily cleaning of the rooms, free tours in the center of Madrid and informations of any kind for their costumers. Last on our list, a luxury hostel in the Heart of Madrid City, with Gran Via steps away, Sol across the street, and Chueca less then 2 min of walking distance from it. Each of their comfortable room has a TV, AC and a private bathroom (shower and toiletries), air condition, wi-fi; and they also have free breakfast, elevator, luggage storage, laundry facilities, daily housekeeping and 24/7 reception. A place with great deal of conformity. 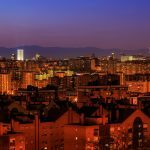 In order to help you with accommodation in Madrid, we did a list of 15 hostels that you can choose from. From easy-going, vintage and cozy, corrala-style, to luxury ones – what ever you prefer. Book the one that you like and start your adventure in the streets of the capital of Spain. We promise, you won’t regret it and you won’t forget it.